​Antonio (Tony) Henry Brophy (1933-2012) was a beloved teacher, mentor, shepherd and friend of the Edmonton Catholic School District for over three decades. Born in Saskatoon, Saskatchewan, he grew up excelling at all sports, achieving outstanding male athlete at St Peter’s College in Muenster Saskatchewan. After obtaining tradesmen papers as a printer, Mr. Brophy moved his wife and family to Edmonton where he worked as a graphic artist for 18 years. 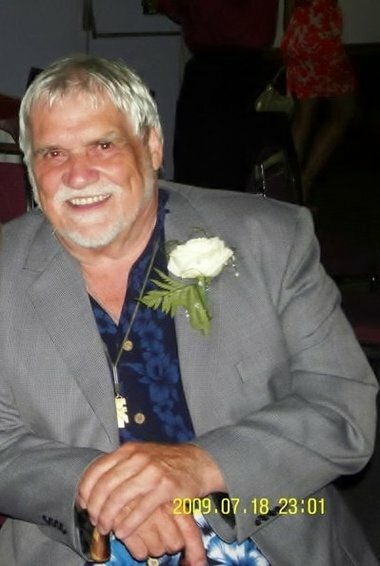 In 1970 and with seven children at home, Mr. Brophy decided to go back to school and complete his Grade Twelve diploma. While working two jobs to support his family, he enrolled at the University of Alberta and completed his Bachelor of Education in 1976. Mr. Brophy’s formal teaching career began and ended at St Joseph’s High School. While teaching graphic arts, he again returned to school, this time to Newman Theological College where he was granted a Bachelor of Religious Education. Always a faith-filled man, this was the degree that allowed Mr. Brophy to live out his faith fully, with his family, his staff, and most especially, his beloved students. The focus of his teaching changed at this time from graphic arts to religious education and he quickly became known as the teacher who was always available to listen and to guide any student through any challenge be it academic, social or spiritual. Throughout his tenure at St Joe’s and his volunteer work with students at St Alphonsus, Mr. Brophy considered his students as part of his family, and many of these students remain in close contact with his family today. The Whatsoever You Do Fund was established by Mr. Brophy’s family in recognition of his passion for life, his deep-rooted faith, and his love for everyone who crossed his path. The generated funds will be distributed via our Helping Hands Fund which provides resources to assist schools in addressing particular student or student family emergency needs including-but not limited to-clothing, food, shelter, health, and transportation.